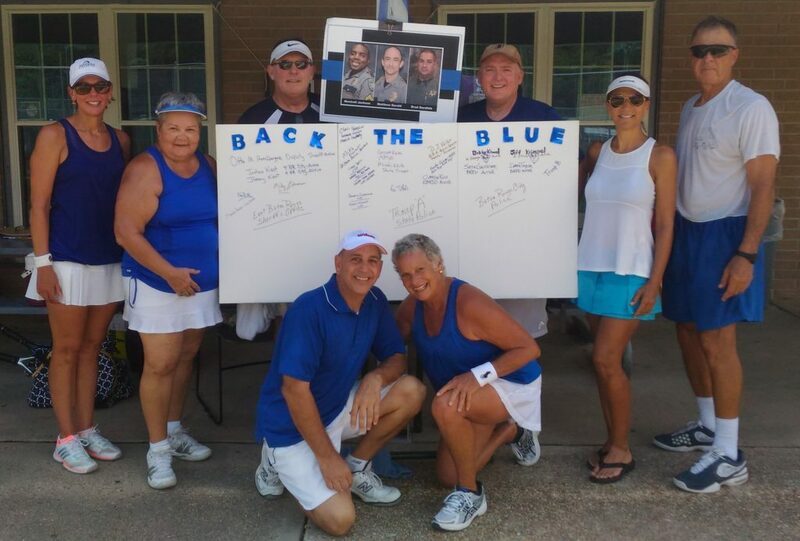 Thanks to the more than 70 HPTA members and guests who wore blue apparel at the Aug. 6, 2016, Round Robin at Highland Park. The event was designed to pay tribute to law enforcement officers (former, active, retired, and deceased) who put themselves in harm’s way to protect and defend us all. It was very gratifying to see blue on all the courts all morning.